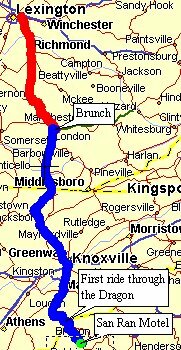 Ken Isacson and I headed down to US-129 in TN/NC for scenic motorcycle riding. Ken made it back on his bike. I made it back - but as a passenger in a car. Leave Rockford. Stop by Ken's. 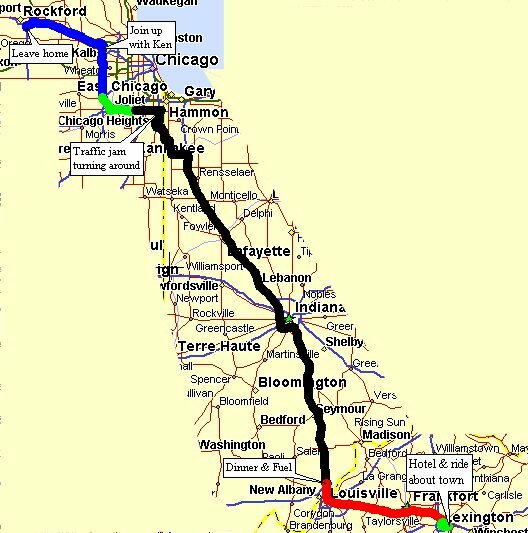 Interstate as far south as reasonable. Complete the trip down, ride US-129, check into a motel. 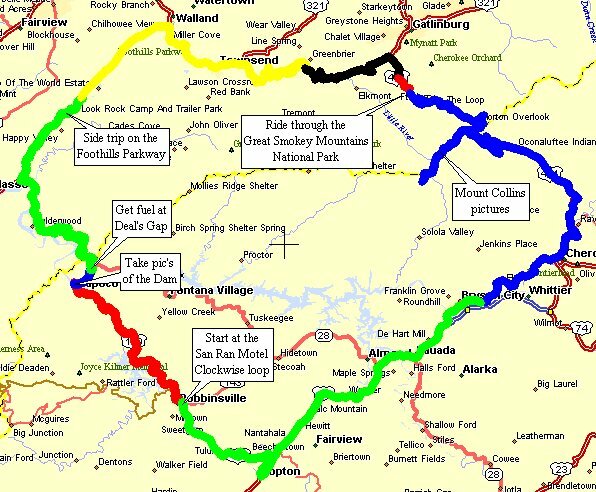 Start from the motel and ride a clockwise loop. Leave the motel, head down to Andrews for church, head back to Robbinsville for breakfast. 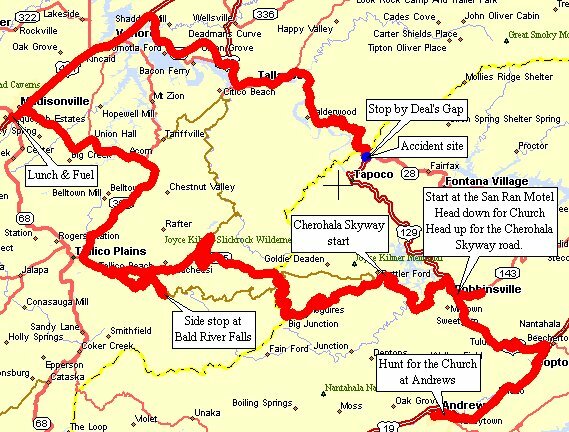 Head on a clockwise loop through the Cherohala Skyway and US-129. The loop does not complete for me as I had an accident (my fault & I was the only one involved).